Juhannus is closing up, and if you are in Finland, chances are that you already have a plan for what to do. Juhannus is the longest day of the year. You can say that this is the second biggest holiday – head to head with Vappu  – for the Finns, after Christmas. 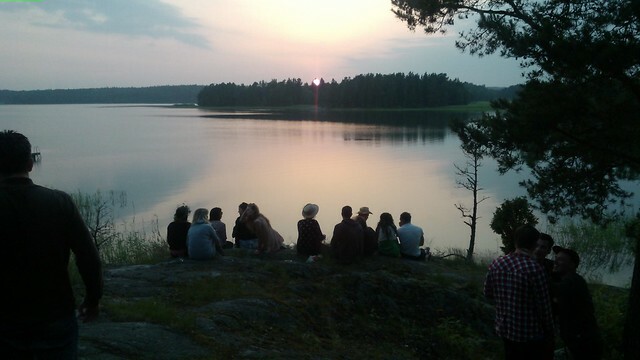 The longest day of the year, Juhannus, looks exactly like this. It is time to get payback for enduring a long, cold and dark winter – the ying and yang (you can see the spectacular difference of the amount of light between summer and winter in Finland in this time lapse video ). Juhannus is the name that the summer solstice gets in Finland, and it comes from St. John the Baptist (in Finnish he is called Juhannus). In other countries – like Spain – the name of the Saint is taken to mark this day as well (San Juan). So if you’ve heard this name but don’t know what the big deal is, read along. If we elaborate a bit, we can say that Midsummer in Finland is a public/bank holiday that happens around midsummer, concretely between the 20th and the 26th of June, on a Saturday. The previous day, midsummer eve, is the last day to shop for food and drinks for Juhannus, since the stores close at 1pm, and many people don’t work that day. Once everyone is set up, it is time to drive up to a cottage, where the celebration usually happens. with friends and/or family. They gather together by the table to eat two dishes that are much loved by the Finns: New potatoes and sausages (along many other grilled foods, of course). Beer and liquors are passed around and, if you’re with friends instead of family, there will be a party. 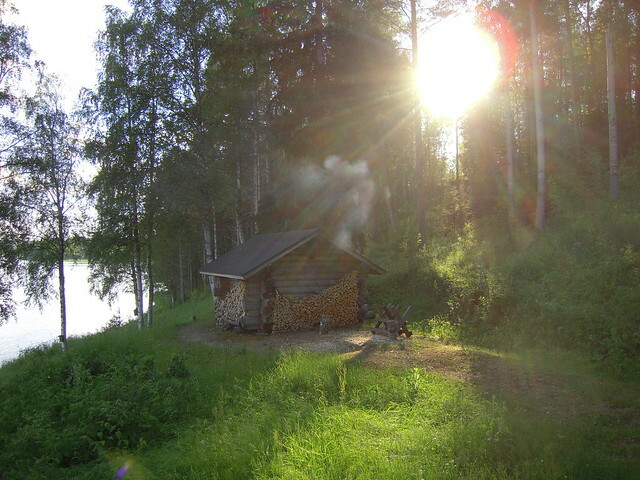 The sauna – whatever its type  – will also be a part of the celebration, since it probably will be always warm and it will receive many visits from time to time. Of course, being next to one of the thousand lakes, the preferred refreshment from the sauna won’t be a shower, but a quick (or not) dip in the lake. If you have birch trees around, make sure to cut some (Finns call this Vihta or Vasta) and hit yourself lightly with them. Many bonfires are lit by the lakes (it can also happen in other places, but lakeshores are the most popular bonfire spots), so if you’re in one and start seeing a bunch of them on the shore, worry not. The bonfires are also quite popular in the cities, so if you’re visiting Finland and don’t have the chance to be invited to a cottage, I recommend finding the nearest lake and looking for the bonfires. But the best part, and what makes this holiday so worth it, in my opinion, is to witness the nightless night, and see the midnight sun or the white nights . It is true that you can see the white nights (or the midnight sun, if you’re above the arctic circle) any night, but taking a day to go into the nature and enjoy it, apart from daily life and routines, this kind of focus is what I really love. 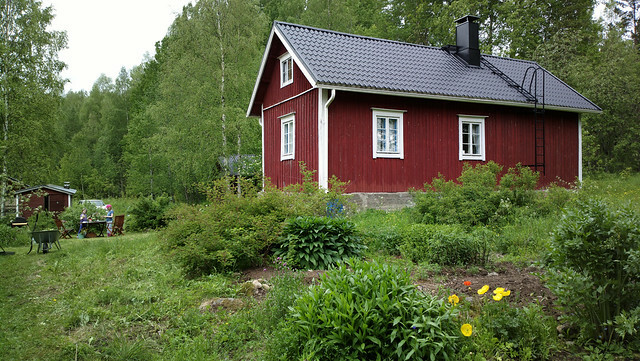 The slow living that happens on Juhannus is what makes us – me – realize the good things in life and come back invigorated. Have you been in Finland during Juhannus? How did you like it and what did you do?